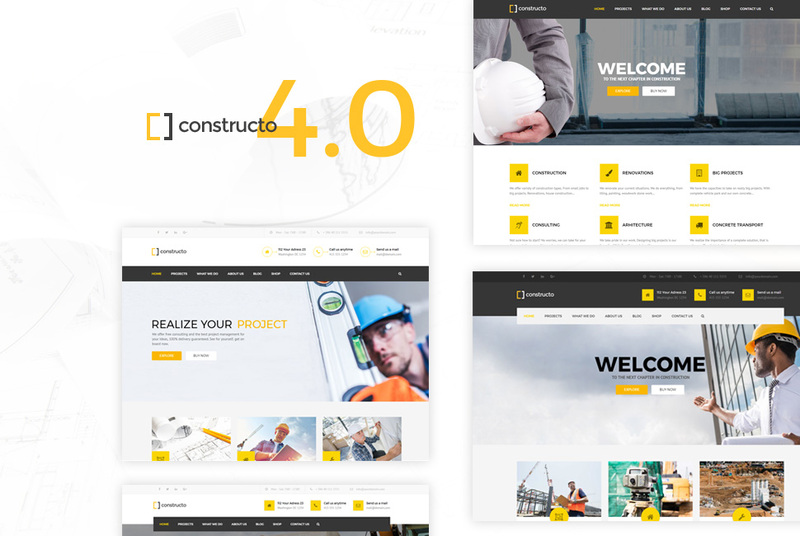 On July 3rd we released version 4.0 for our most popular theme – Constructo. The new large update brings many new features, options, and new demos. While the update contains many features you will love, existing customers will have to apply some changes to their site. This is due to applying large changes to the code, for which we, unfortunately, could not provide a fallback. Don’t worry we will cover all the changes that may cause issues with your existing site. Let’s get started and update to Constructo 4.0.! After updating your site may appear to be completely broken. This is because the old styling (CSS) is being loaded with the new layout (HTML). This is likely due to the browser cache or a caching service (eg. Cloudflare) or a caching plugin (eg. W3 Total Cache). Inside the WordPress admin dashboard go to Performance – Dashboard and click on “empty all cache” button. To purge everything from cache, login to your Cloudflare dashboard and under Purge Cache, select ‘Purge Everything’ from the dropdown menu. When we first built our theme we did not see the need for customers to have comments on the pages. Page comments are currently required by Envato and WordPress Codex to be turned on by default. To turn off the page comments, navigate to Appearance – Theme Options – Page layout and check the Disable page comments option. During development, we decided the best way to implement all the header options was to completely re-write the header code. We used new classes, new HTML layout, etc. This means if you applied custom CSS changes to the header, you will need to re-write your CSS code. You will need to re-active the vertical menu option. Inside the WordPress admin dashboard navigate to Appearance – Theme Options – Page layout and check the Enable Vertical menu option. The header has additional available style option. Navigate to Appearance – Theme Options – Header options and review the set values. For example, you will notice a bottom border added to menu items, which is enabled by default. Set the Dropdown selection states to Hover color to remove it. Inside the WordPress admin dashboard edit the page where the Portfolio element is located. Edit the element and review the set options. You will most likely need to set the Show in row and Portfolio type to your previous set values. Did you experience any other issues? If so, please open a ticket at anpsthemes.freshdesk.com where we will gladly give you a hand with the new update.